Natasha gave a stellar performance last night with session bandleader Billy Panda at Third and Lindsley in Nashville, Tennessee. The show was to celebrate the release of Out Of My Hands and she performed several songs off the new album as well as some off the previous two solo releases. There were also several door prizes given which she drew for in between some of the songs. All of the prizes had the image of the album cover on them such as T-shirts, a tote bag, notepads and a mousepad. Read a review of the show and the CD and see some videos on Soulful Sound Lounge written by Rachel W.
“Out Of My Hands” has received a stellar review on the popular European ROOTSTIME.BE website by Valère Sampermans aka Valsam. The review is in Dutch but you can easily plug it into Google Translator , copy and paste the Dutch text in and it will convert it into a fairly readable English translation. The Dutch version is on Natasha’s reviews page here on the website. 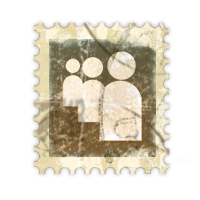 About Shelter Sounds – you have heard them for years but not like this! 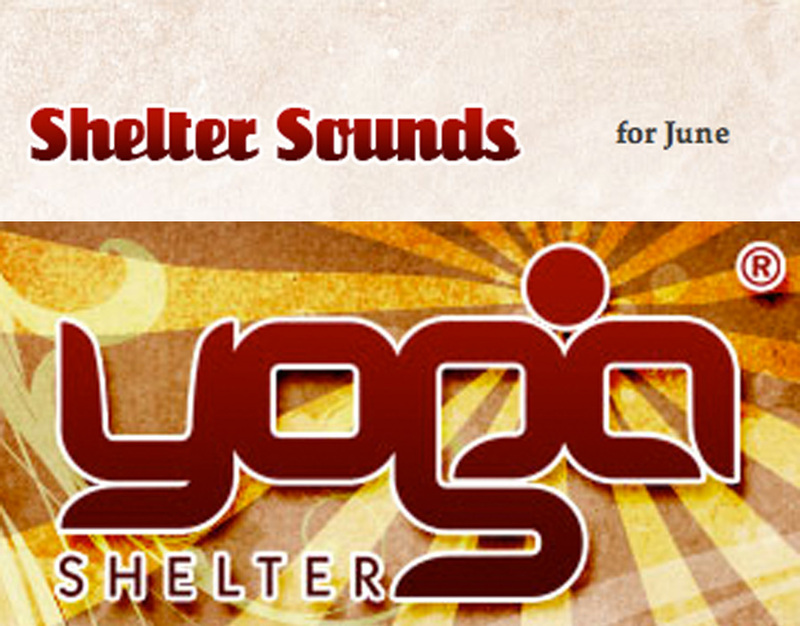 Once again, Yoga Shelter leads the way in making yoga something that all of us can get into. Shelter Sounds is for those of us that want to broaden our musical landscape, get more familiar with what is being played in class and hangout at the Shelter without “really” being there. 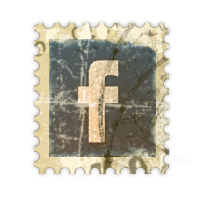 No more will you wonder: “where can I find that song?” “who was it that you played during ___?” Now you can find our current favs all in one place including info on the artist, links to purchase and a pop-out radio player so you can listen while you work/play. 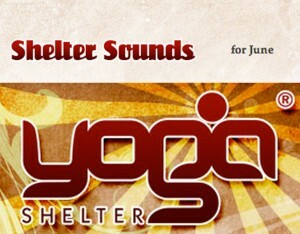 Click here to access the June Shelter sounds with Natasha’s album. 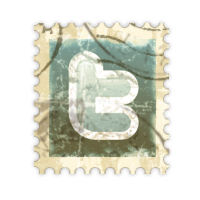 It is also a great way to discover new music and get some free downloads. With Natasha also being a Iyengar yoga instructor, this seems like the perfect place for her music to be featured! 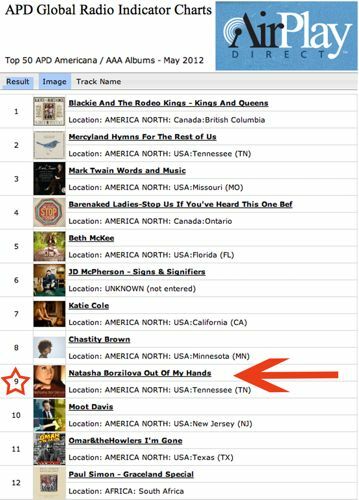 May 2012 Folk DJ chart has two of Natasha’s songs in the Top Ten! “Out of My Hands” hit the ground running with a very strong showing in the May Folk DJ Charts with the title track and “Better Than Me” in the Top Ten for the month. The chart is based on playlist reports from 143 DJs worldwide. Special thanks to all the DJs who have been playing and reporting Natasha’s music! 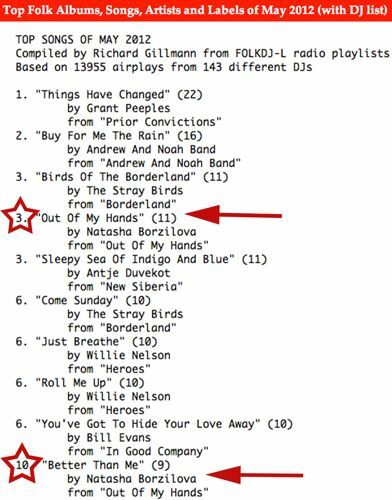 “Out Of My Hands” was the 9th most downloaded album in the Americana and Triple A genres by DJs around the world and U.S. using Airplay Direct to get their music for airplay. Natasha was in good company with artists like Paul Simon and Bare Naked Ladies on the list! 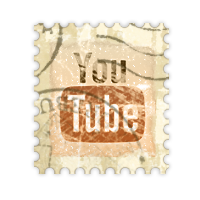 Airplay Direct is a digital delivery platform to service radio stations worldwide who want to receive their music digitally. To view Natasha’s Airplay Direct page for “Out of My Hands” click here.